Cinema, built 1931 by Stanley Furner. 1986 seats. Demolished in 1960. 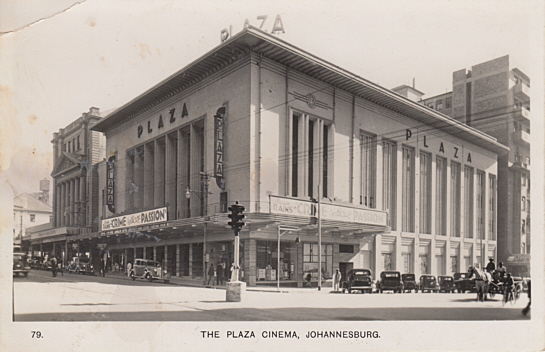 Front Text: "The Plaza Cinema, Johannesburg", inscription: "Plaza", marquee: advertising the 1934 film "Crime Without Passion"